Classic, simple summerhouse with veranda. 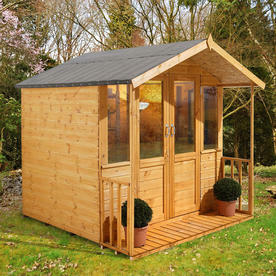 A lovely addition to the garden this pretty summerhouse has integral covered veranda and floor. The Maplehurst summerhouse features half glazed double doors and 4 fixed windows. 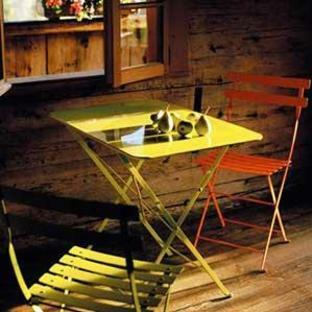 The glazing on the summerhouse windows is all styrene glazing. 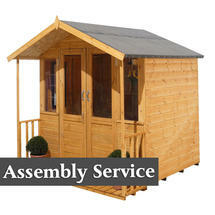 The summerhouse roof is a simple black sand felt covered roof. 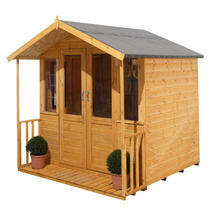 The footprint of this summerhouse is approx 197cm x 207cm. 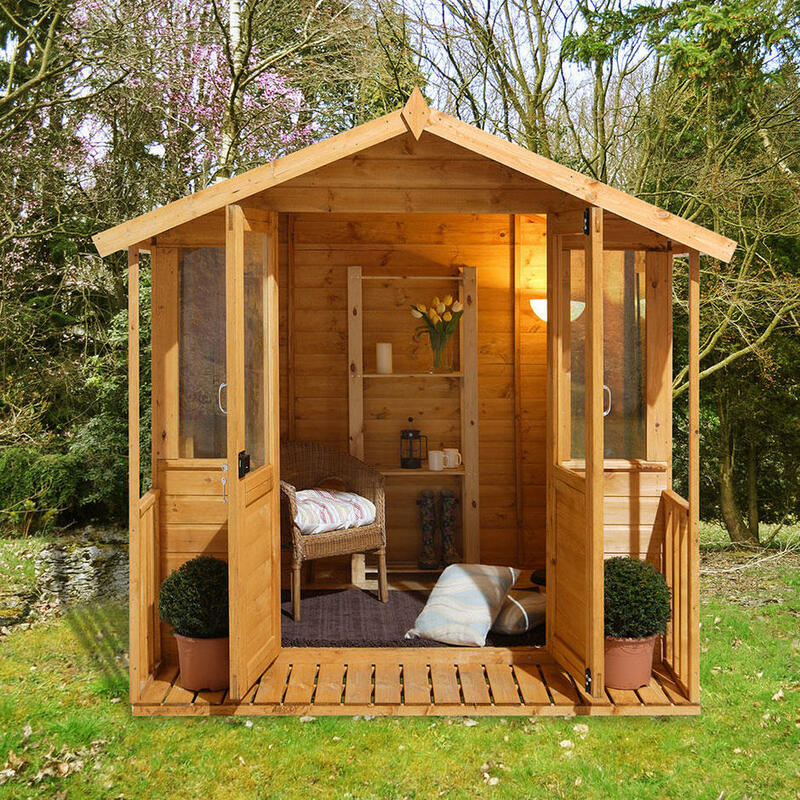 The Maplehurst summerhouse features shiplap construction which involves interlocking tongue and groove boards. 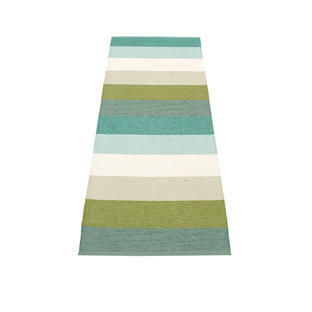 The tight fitting nature of this means effective protection from wind and rain. 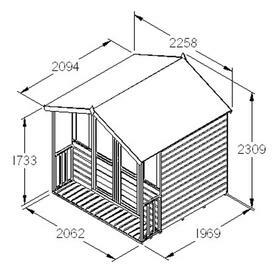 The Maplehurst summerhouse will take approximately 5 hours to construct, it comes complete with fixings and full instructions. 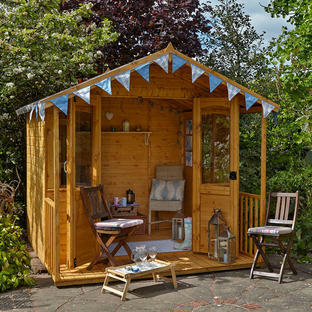 However if you wish to stain or paint the structure in your own colours using outdoor wood stain or outdoor wood paint, this should be done immediately and follow the paint manufacturer's instructions. We do offer a separate assembly service*, if this is required the ground needs to be flat, solid ground and made ready for assembly, please contact us for details. 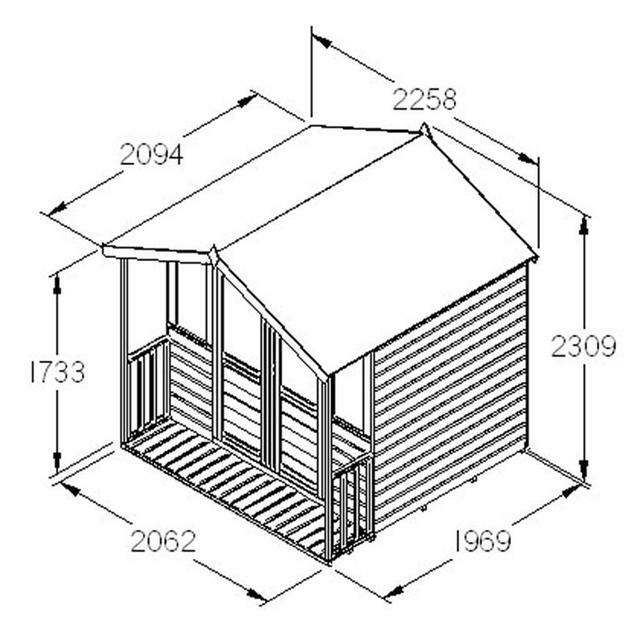 *Please note however we are unable to offer delivery or assembly of this summerhouse to addresses in the Scottish Highlands and Islands, Northern Ireland, Chanel Isles, Isle of Man, Scilly Isles and Isle of Wight and Europe.